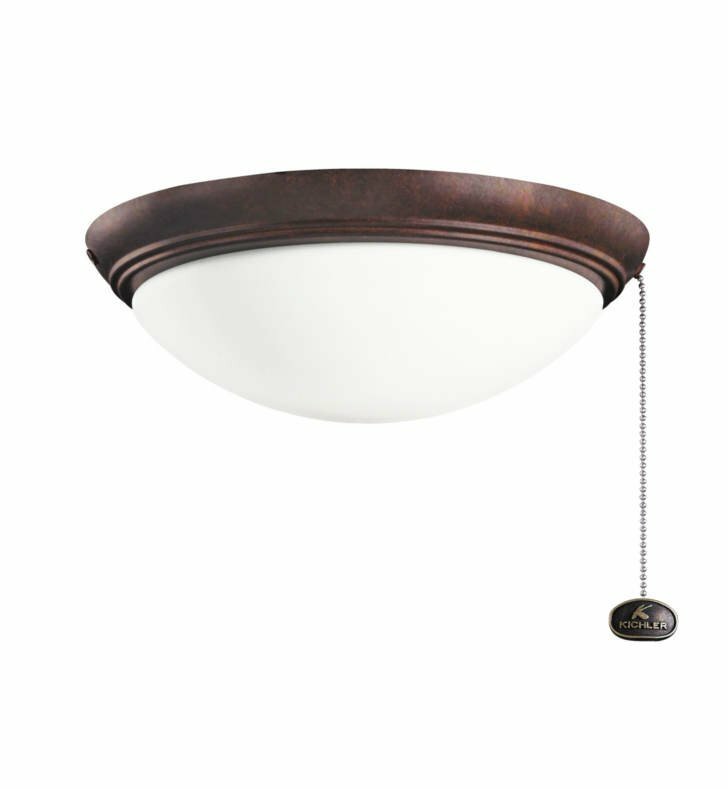 Questions about Kichler Lighting 380020TZ? A universal low profile, large light kit for wet rated fans. Features Opal etched glass and pull chain control. Dimensions: W 11 1/2" x H 4 1/4"